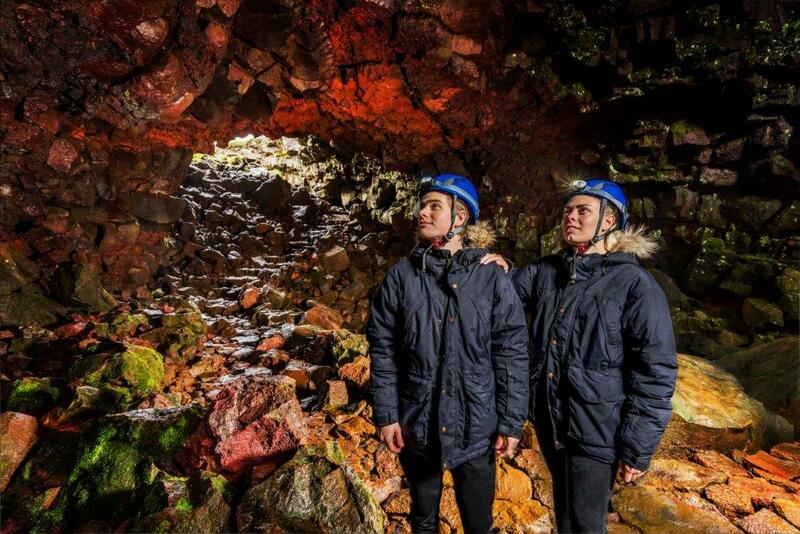 Navigate through the wonderous lava tunnel Raufarholshellir, one of the longest and best- known lava tubes in Iceland. 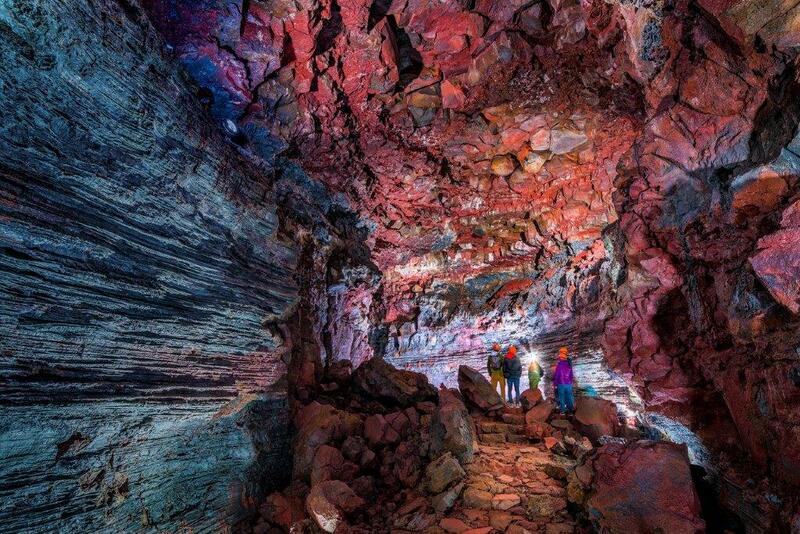 Just a short 30-minute drive from Reykjavik, this natural wonder is easily accessible all year round. 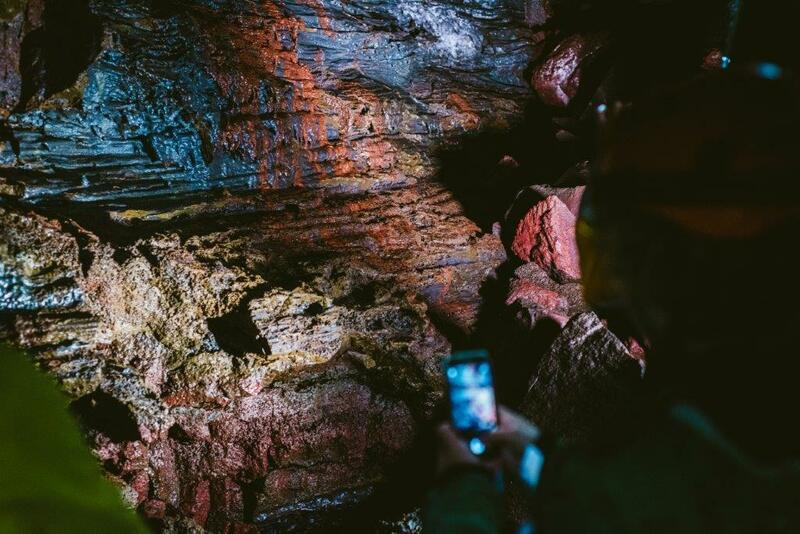 ✅ An informative guide will take you through the cave and tell you all about the geological formations, as well as sharing wonderous tales of Hollywood adventures and other fascinating tidbits. 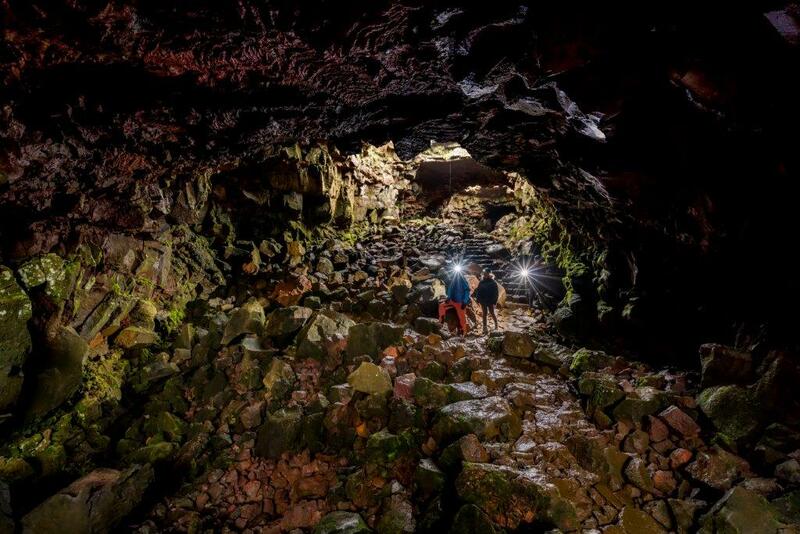 Included: Guided caving tour, flashlight, and helmet. Not included: Transfer to and from the cave. easily accessible all year round. of the lava that flowed all those centuries ago. In the forefront of the cave, a collapse in the cave-ceiling has formed three natural skylights that send rays of sunlight shooting through the cave and onto the rock bed below. 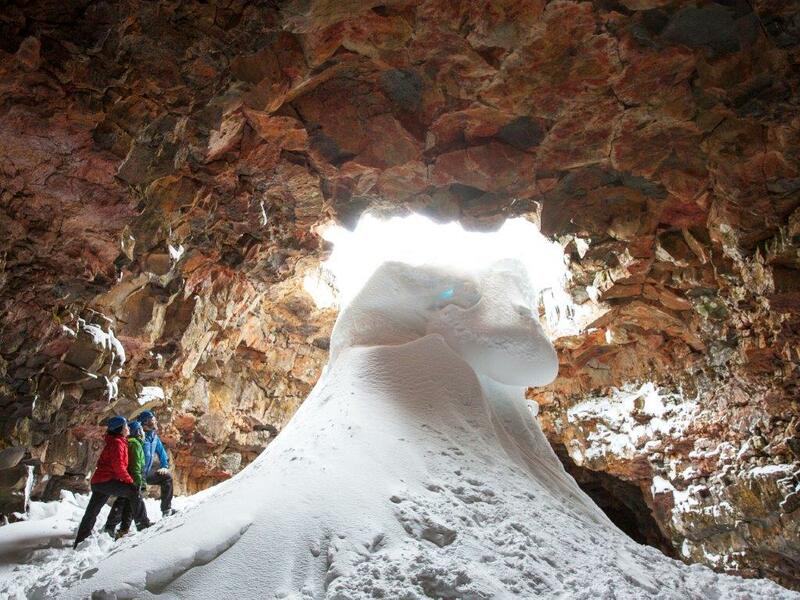 As winter sets in and frost and snow grip the landscape, huge ice sculptures from inside the cave making the visit a truly wondrous and unique experience. The standard tour allows you to explore the tunnel in an easy and enjoyable manner. As the tunnel is a natural phenomenon, the terrain is quite rough and hard to maneuver. Therefore we have built a footbridge, making the tunnel easier to navigate. 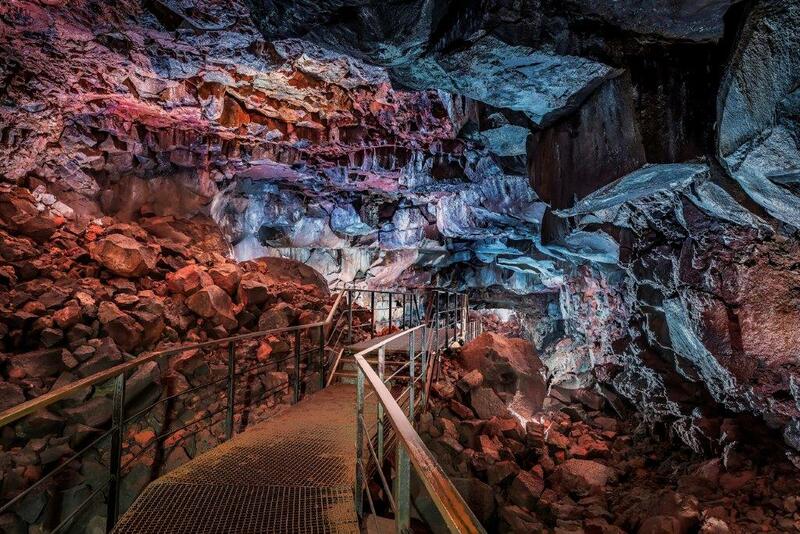 We have also installed lights in the cave to further enhance the experience and highlight the everchanging colors, landscape and geological formations inside the cave. This, of course, is all done in such a way as to disturb this natural wonder as little as possible. A guide will take you through the cave and tell you all about the geological formations, as well as sharing wonderous tales of Hollywood adventures and other fascinating tidbits. This tour departs every hour, on the hour, from 10 am to 5 pm. The tour takes about an hour and is suitable for anyone comfortable walking on an uneven surface.